To See a List of Our EEE Graduates, Click Here! Educating and Inspiring others is a gift. 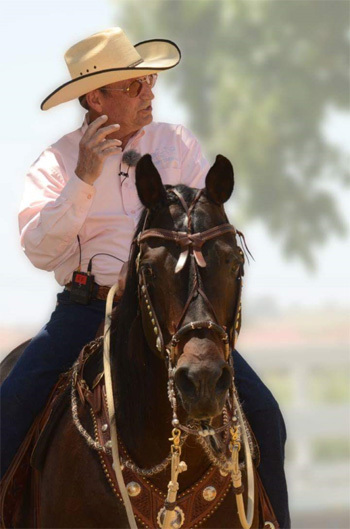 Eitan Beth-Halachmy has that gift and it is his desire to share his experience and knowledge with other professional horsemanship clinicians, instructors, teachers and educators. It takes a keen eye, a knowledge of bio mechanics and equine behavior and lots of experience both in and out of the saddle to be not just a good teacher but a gifted teacher. Eitan has ridden 100’s of horses in his lifetime. He has had great success and of course failures along the way. The failures taught him as much as his successes. Eitan is a keen observer, a thinker and problem solver. Combine that with the fact he is at times ”part horse” and you know why he has a world-wide reputation as a horseman and visionary. When Eitan came to this country many years ago he spoke little English. He had to find a way to communicate clearly with few words. He feels this early hardship helped him become a better educator. He had to keep things simple and to the point. He had to be creative and imaginative to get his point across. Eitan invites you to join him for 3 days focusing on developing a higher level of education for those that wish to teach horsemanship. This is not a “heels down, eyes up” program. This is for those that wish to excel in elevated teaching techniques and be inspiring at the same time. Eitan’s Educators Program is not to necessarily teach you better horsemanship or how to train your horse. His Cowboy Dressage School of Horsemanship covers that area which Eitan excels at as well. (link needed) This educators school is simply a means to give you better tools and education on how to be a better teacher. You don’t have to be a great rider, this is not about your personal horsemanship, it is about how to share the very best of what you know with others. This School is for all professional horseman and horsewoman. It will incorporate a lot of Eitan’s Cowboy Dressage to help fine tune and elevate the educators eye, understanding and communication. Eitan wants to take good teachers and help them be great teachers, maybe even legendary. He has the credentials, he has the mind, he has the desire, he has the experience. Take advantage of what took him over 60 years to acquire, join him in his Educate the Educators School. $200 Non refundable deposit required. Balance due at school. Riders will use our horses or can bring their own. Please note that others may ride your horse for coaching purposes. Student must supply shavings, feed and clean stalls and water their own horses during school. Click Here to view and print the registration page.